The story of Formulytic began in 2013, initially serving as a reseller for a top attribution modeling platform but soon after, went through an acquisition. We’ve since pivoted to serving small to midsize B2B companies with their overall demand generation and marketing operations strategies. We’ve been involved in this space since 2004 when the first digital marketing channels emerged. Today, We develop sales pipeline sourced from digital marketing programs, then back it up with the marketing infrastructure support needed to ensure optimal throughput through the marketing and sales funnel. Demand Needs Looking for ability to tie marketing program performance to revenue. Needs support in lowering avg. CPA and delivering ROI positive sales pipeline from marketing programs. Marketing Needs Looking for ability to determine funnel stage conversion rates. Needs ability to forecast top of funnel spend based on marketing/sales funnel performance. Chris has been in the digital marketing space for 10+ years. An Upstate NY native now residing in Southern California, Chris got his start providing SEM and SEO services to small business, which led to opportunities with Fortune 100 companies. 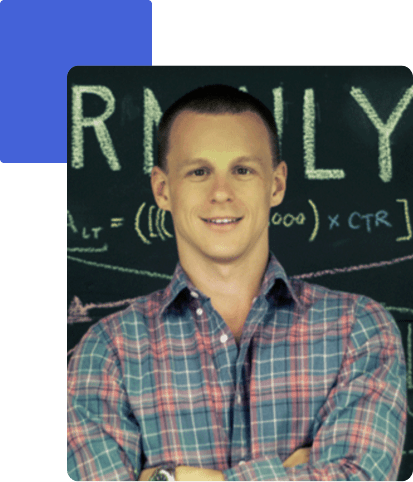 Realizing he felt much more at home working with startups, the marketing programs he was responsible aided in growing 2 companies to $20+MM in annual revenue. During this time, Chris took on marketing operations pieces of the business so not only was he responsible for building sales pipeline, but assumed responsibility for designing/managing the funnel needed to grow new prospects, facilitate database engagement, and govern the workflow that ensured funnel throughput to Sales. Chris and his team now actively manage complete demand gen and marketing ops strategies for small to midsize businesses in various industries.